Before all ye traditionalists spit out your gingerbread and come at me with your Christmas ham-encrusted pitchforks, let me say this: Yes, there’s merit in tradition, but that doesn’t mean absolutely everything has to stay the same! If that was the case, we would never have ruby chocolate, chicken and waffles, poke bowls… could you even imagine a world without frose (the horror!) Well luckily, the only constant is change, and mixing things up for the better is owner of Newstead’s The Golden Pig Katrina Ryan, whose shared with us some the perfect meals to spice up your Christmas dinner! Non-traditional, yes. Non-delicious? No way! It fact, this flavoursome dish is the perfect way to sleigh at Christmas lunch. With Spanish origins, Paella when done right is a super yummy and unique combination of poultry, chorizo ham and fabulous seafood with rice. 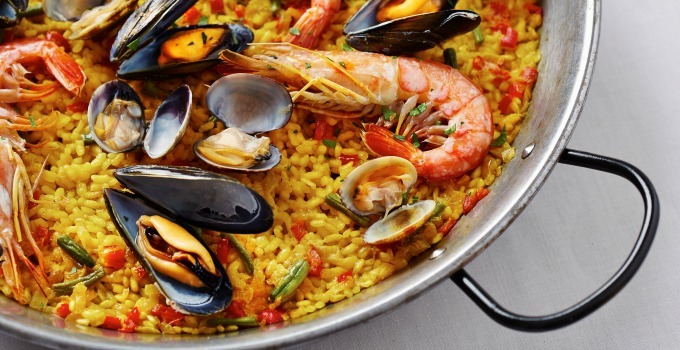 While fresh is best, paella is also the perfect way to use up leftover prawns and mussels – though let’s be real, your fam probably ate them all already! Sick of slaving over stovetop AND oven to make the perfect hot vegetables to accompany the turkey and ham? Boiling the potatoes, draining them, then roasting them… it’s too many steps! Well, Katrina suggests swapping out the hot veggies for roast vegetable salads instead! A delicious salad with pumpkin, carrot or even fennel will keep things light while still adding colour to your Christmas feast, which means less time in the kitchen and more time with the fam and friends! Fudged up the white Christmas? Is your dessert more floozy than fruitcake? Well, I’m just pudding it out there – it’s probably not your fault! Katrina’s all about playing to your strengths, and in Australia that means seasonal fruits! Think cherries, mangoes, and stone fruit added to trifles, grilled peaches served with toasted panna tone and sweet mascarpone, or even a simple sponge layered with whipped cream and fruity goodness! Trust us, guests will go bananas over these sweet treats! ‘Stressed’ is desserts spelt backwards, and we can certainly see why! Well, make things easier for yourself by forgoing the bombe Alaska for homemade granitas instead! 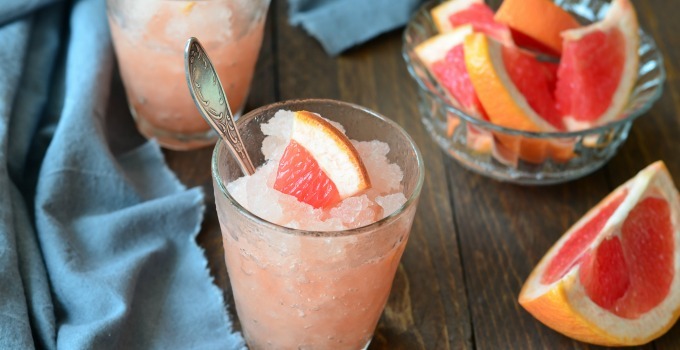 Guaranteed to wow your guests, make these with strain fruit juice like watermelon and lime, with sugar syrup and freeze overnight – it’s that easy! There’s nothing more lavish than lavosh, especially when paired with fresh goat or buffalo curd! If you’re after a decadent appetiser which you can make on the fly, look no further! Simply serve spoonfuls of the curd drizzled with honey and lavosh crackers on the side. Easy Peasy! Winner winner Christmas dinner! Words by Jacqueline Pon – the gourmand who is keeping it trendy this festive season.